Douglas Comer, Distinguished Professor of Computer Science at Purdue University, is an internationally recognized expert on computer networking, the TCP/IP protocols, the Internet, and operating systems design. The author of numerous refereed articles and technical books, he is a pioneer in the development of curriculum and laboratories for research and education. 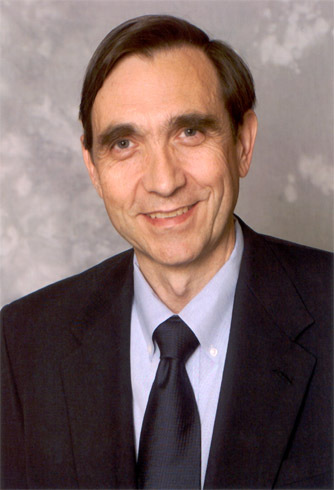 A prolific author, Dr. Comer's popular books have been translated into sixteen languages, and are used in industry as well as computer science, engineering, and business departments around the world. His landmark three-volume series Internetworking With TCP/IP revolutionized networking and network education. His textbooks and innovative laboratory manuals have shaped and continue to shape graduate and undergraduate curricula. The accuracy and insight of Dr. Comer's books reflect his extensive background in computer systems. His research spans both hardware and software. He has created Xinu, a complete operating system, written device drivers, and implemented network protocol software for conventional computers as well as network processors. Software that has resulted from Dr. Comer's research has been used by industry in a variety of products. Dr. Comer has created and teaches courses on network protocols, operating systems, and computer architecture for a variety of audiences, including courses for engineers as well as academic audiences. His innovative educational laboratories allow him and his students to design and implement working prototypes of large, complex systems, and measure the performance of the resulting prototypes. He continues to teach at companies, universities, and conferences around the world. In addition, Dr. Comer consults for industry on the design of computer networks and systems. For twenty years, Professor Comer served as editor-in-chief of the research journal Software Practice and Experience . While on an extended leave from Purdue, he served as Vice President of Research at Cisco Systems. He is a Fellow of the ACM, a Fellow of the Purdue Teaching Academy, and a recipient of numerous awards, including a Usenix Lifetime Achievement award.